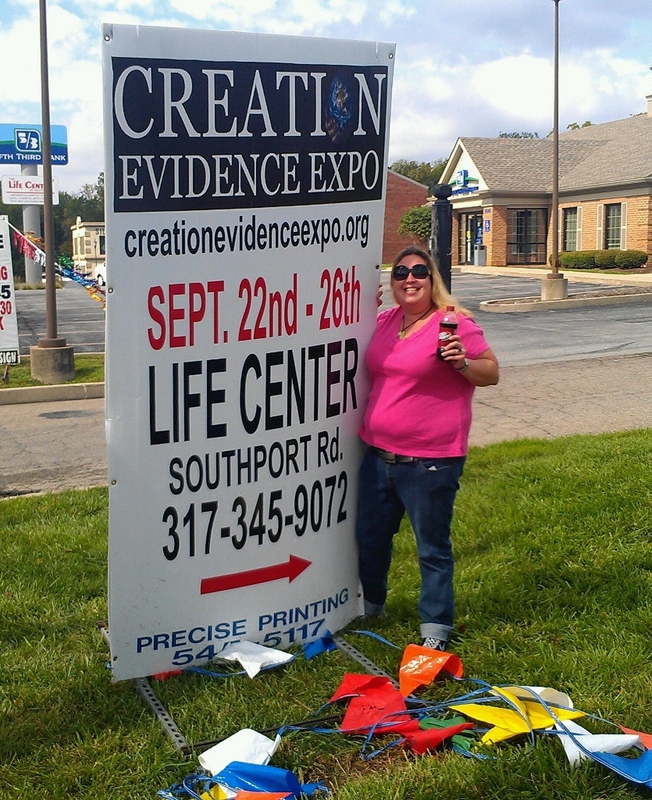 Recently, one of my skeptical colleagues – Louise Kellar – attended the Creation Evidence Expo in Indianapolis, IN and she wrote up a guest blog on it over at Freethought Blogs. I wanted to share it with you here for two reasons: 1) it is a really thorough (and funny!) write-up of the whole event, and 2) Louise must have a much stronger stomach than me, because I don’t think I could have managed to attend this thing without rage-facing my brains out. And, quite frankly, when you’re up against that kind of crazy, all the science in the world won’t help you win these folks over. Which is why, in many cases, I don’t try to fight a creationist with whom I’m arguing solely with scientific facts (since they seem to be largely impervious to such facts); instead, while I mention scientific information, I also try to engage them in a bit of a different manner, one which I think is more effective… I use religion. Specifically, I point out that the “evolution = atheism = evil” argument is completely bogus for one simple reason: there are numerous Christians (and people of other religious faiths) who accept evolution! That one fact alone destroys their entire argument. Showing them that people of their own religion (Christianity, usually) disagree with their views on creationism is a killer, and it can lead to – pardon the pun – quite a lot of soul-searching on the part of more thoughtful creationists. In addition, I also engage them on the entire morality argument by challenging the assertion that atheists are inherently immoral and evil; this can, and often does, lead into deeper philosophical discussions on the nature of good, evil, ethics, etc. While they may be ignorant of science, they’re all about morals, so why not engage them on those terms using language they can understand? I’m not saying that it will win them over to the PZ Myers or Richard Dawkins camp of evolution, but one thing it will get them to do is THINK. And that’s the first step. This entry was posted on October 3, 2012 at 2:21 am	and is filed under creationism. Tagged: atheism, atheist, belief, Bible, CEE, Christian, clergy, Clergy Letter Project, Creation Evidence Expo, creationism, DI, Discovery Institute, evolution, faith, Freethought Blogs, FTB, fundamentalism, fundamentalist, God, ID, Indiana, Indianapolis, intelligent design, Jesus, Louise Kellar, religion, science, YEC, Young Earth Creationism. You can follow any responses to this entry through the RSS 2.0 feed. You can leave a response, or trackback from your own site. You’re giving me good idea’s about how I might discuss the subject with a creationist, if I ever get the urge to. Skeptical groups and critical thinking are SO good for me! 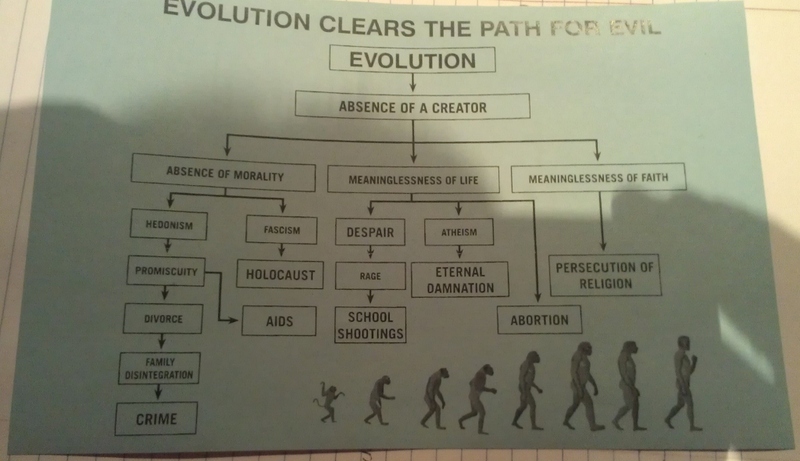 As a youth I denied the possibility of evolution. First it was dogmatic religion affecting my mind, then unreasonable racism. Critical thinking and the influence of wise skeptics like yourself cured me of religion (which had been on the wane anyway), cured me of racism (which likewise was slowly disappearing from my thoughts). Then I took the trouble to find out about the mountain of evidence that supports evolution. What a fool I was. Now I know for sure there is so much convincing evidence for evolution that one has to avoid biological science, geological science, historical evidence and much, much more to remain ignorant of it.